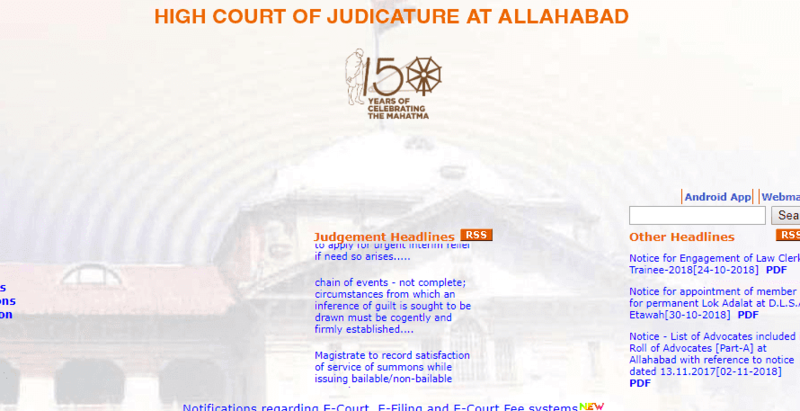 Allahabad high court has been released an notification for 3495 steno, JA & other vacancies recruitment of group C and D. Interested and eligible candidate can apply through official website of the dept or a direct link given in this article. Payment of Fee: (i) For posts mentioned at Post Code No. 01 and 02, the candidates of General and OBC Category shall have to pay Rs. 500/- (+ bank charges extra) and the Candidates belonging to SC/ST Category of Uttar Pradesh only shall have to pay Rs. 400/- (+ bank charges extra). For posts mentioned at Post Code No. 03 and 04, the candidates of General and OBC Category shall have to pay Rs. 400/- (+ bank charges extra) and the Candidates belonging to SC/ST Category of Uttar Pradesh only shall have to pay Rs. 300/- (+ bank charges extra).